For Christmas, we decided to escape the hustle and bustle of the big city and head to a small and quiet country town called Quime. 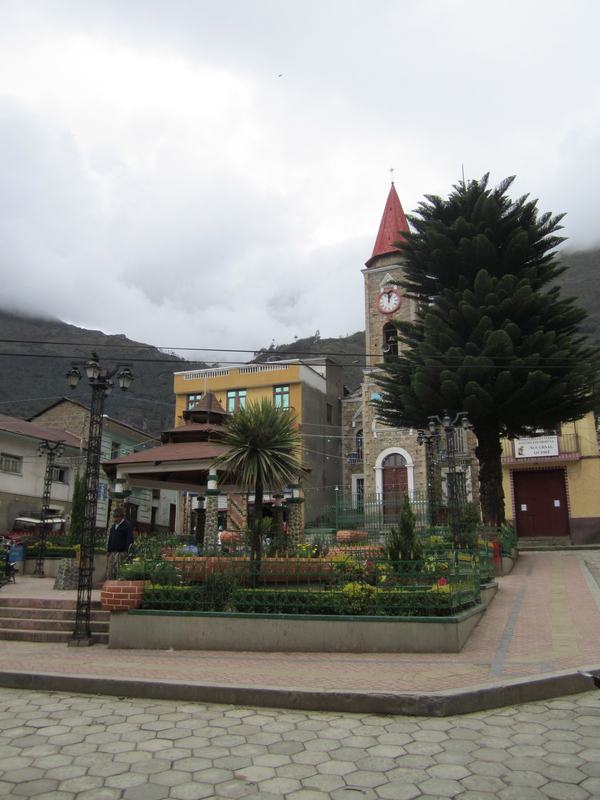 The town is located about 6 hours by bus away from La Paz, as it turned out that getting in and out of the town was a big part of the adventure. 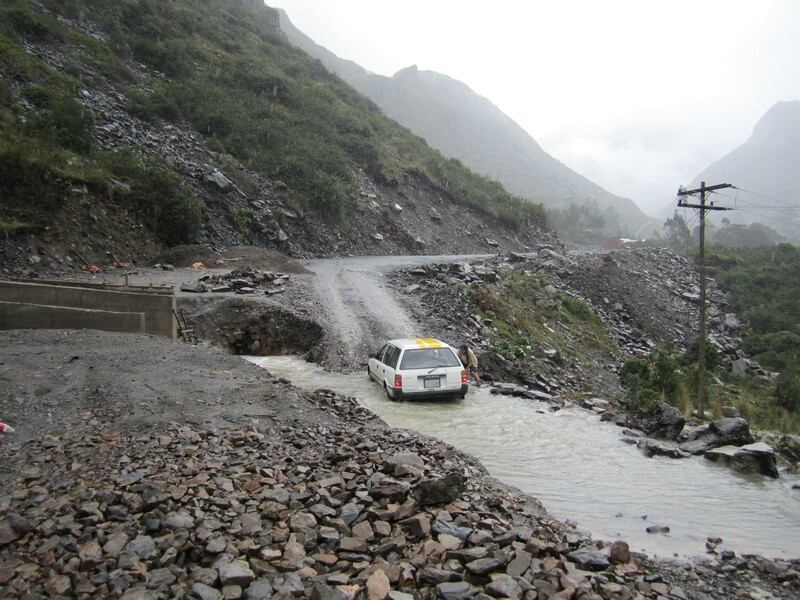 We missed out on the direct bus from La Paz to Quime, but we were assured it would be no problem to take the “other” way. 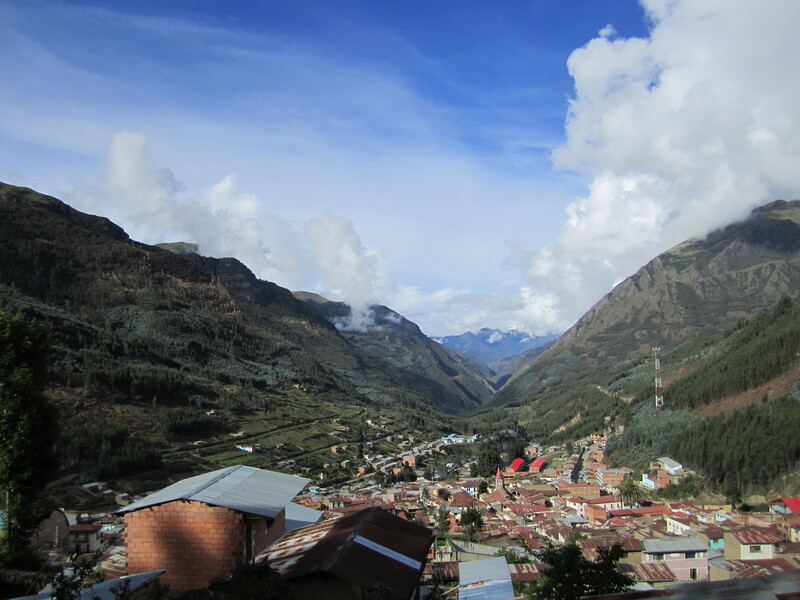 So we hopped a bus from the La Paz main bus terminal to a highway town named Konani. The directions were simple, ride the bus for about two hours and get off after the third toll plaza. This part went off without a hitch (the driver was very helpful), and the next step was to catch any bus or colectivo to Quime. This part is where we had a little trouble. It seemed that due to the holiday, everyone was heading to Quime and we could not find a ride. Each time a bus came into a herd of people, including us, would run to the bus and beg for a seat. Bus after bus, and hour after hour passed with no success. We got a few chuckles from the locals as we are probably some of the few gringos to pass through this town. Finally, Kristen luckily spotted a collectivo before anyone else and secured two seats. It poured for the entire ride, and we watched small landslides come down, but we made it safe and sound, but a little wet. There really was not too much to do in Quime which was perfect for us after so many months of craziness. 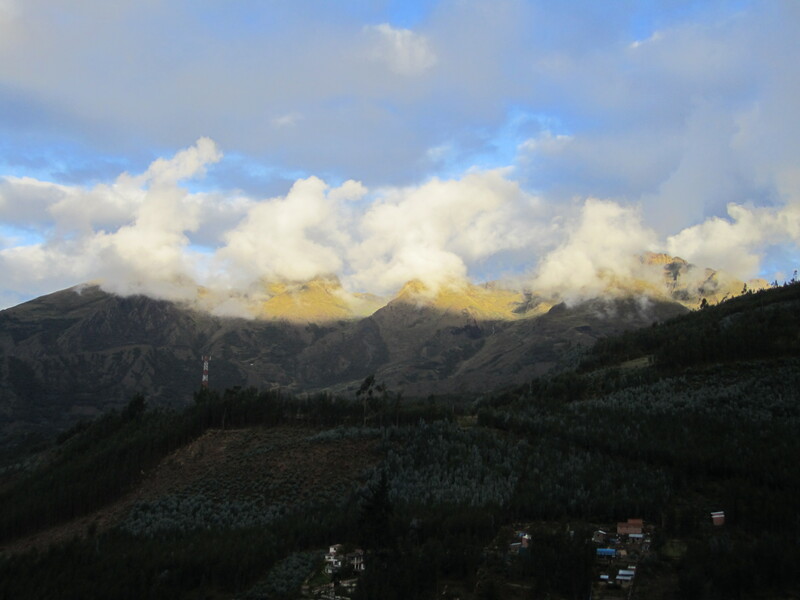 We stayed at a great family house located about 10 minutes uphill from the town square. The house is made for relaxing with a great outdoor feeling, amazing movie selection, great views, and an interesting host to chat with. We spent Christmas with our host, Marco, and two of his younger relatives. 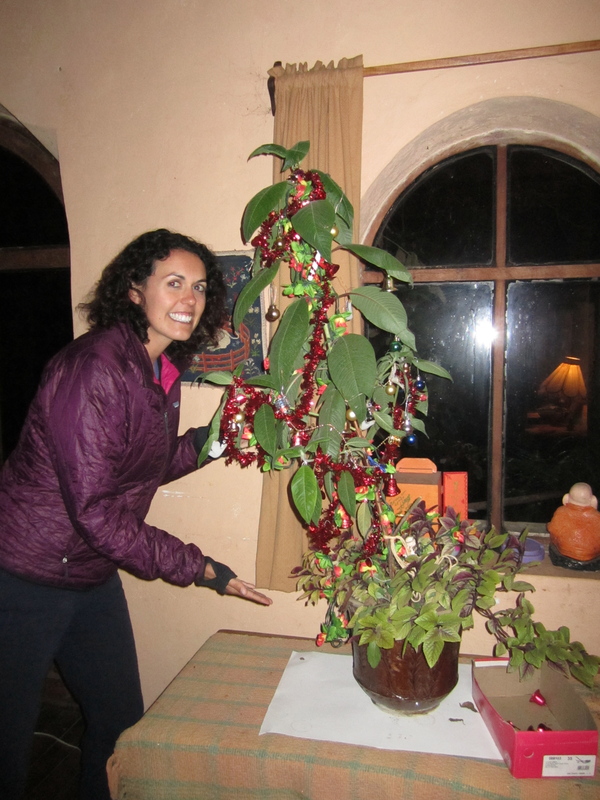 They did a lot to make it feel like Christmas, including bringing in a plant from the garden and decorating it. Not only were we dazzled by the “Christmas tree” and few other decorations, they made a large assortment of cakes and sweets. We all ate until we felt dangerously full. 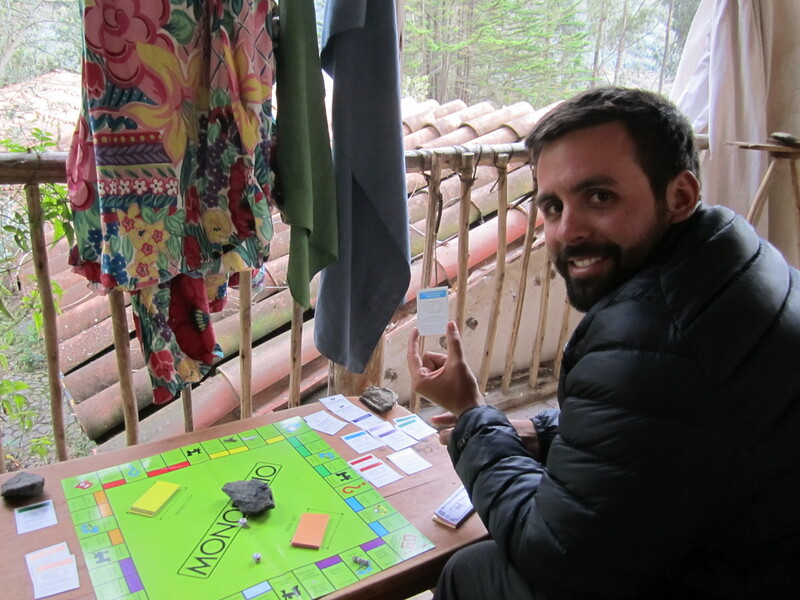 To pass the time during our Christmas escape we read, slept, and played a lot of Monopoly (or Monopolio- the knock off Bolivian brand). Yes, I said it and am not ashamed, we played Monopoly, and a lot of it. Turns out it is a much faster game with only two people and we found ourselves playing twice a day sometimes. 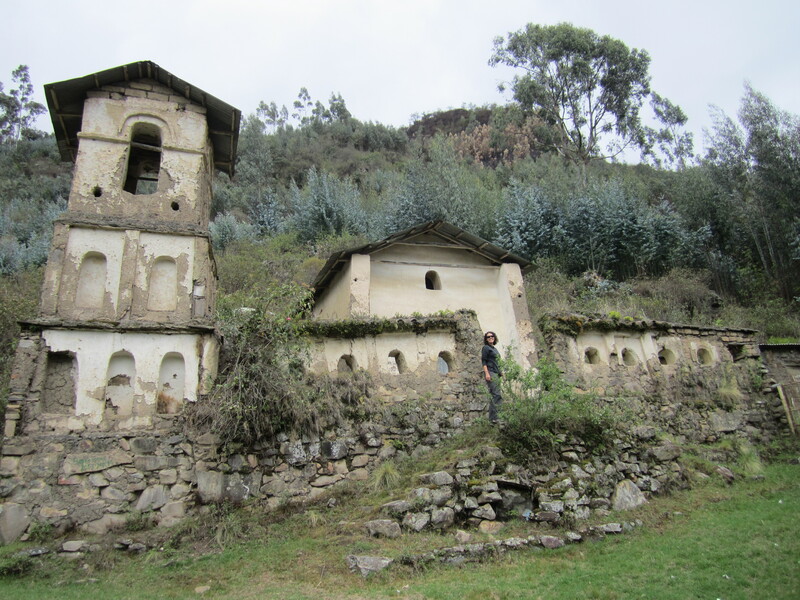 We did break away from the Monoplio one afternoon for a hike to the oldest church in the town. I guess it is not hard to be the oldest church in town seeing how there are only two, but we were still impressed. This area has many hikes, but unfortunately the weather was not the best during our visit (it is the rainy season after all), so we weren’t able to explore as much as we would have liked. We also spent some time walking around the town square, which was not that big, but we still had a fun time people watching and getting watched by people. Quime is so far off the tourist map that people are still somewhat intrigued to see Gringos wandering around. One of the most exciting adventures we had during our Christmas break was leaving Quime. 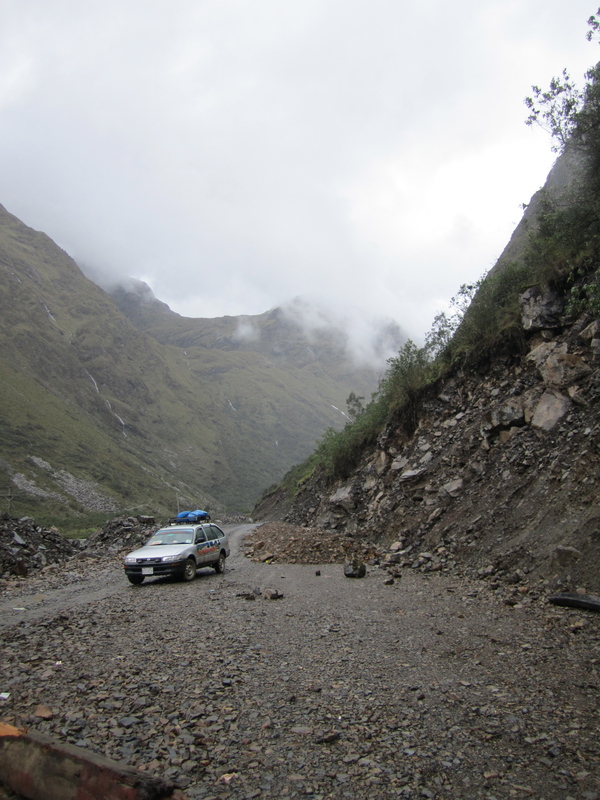 It had rained all throughout the night before, and the road has a large section of dirt, so the crews were constantly clearing away landslides. We spent a few hours sitting in the town square waiting for a cab or bus who was brave enough to make the trip. Finally a cab showed, and six of us piled in a small sedan to make the trip and Joe got to ride in the back. The road was soaked and the dirt portion had turned into a nice muddy mess. A few time we had to get out of our taxi so the driver could charge through the mud and hopefully not get stuck. The mighty cab that could - Notice our bags on the top. At one point, we came upon a river with another cab stuck in it and a large truck waiting to go through. Again, we were all ordered to get out and forge the river on our own while the cab sped across. We waited for the stuck cab to free itself from the river’s grasp and we all wondered how we were going to make it across and stay dry. Once this cab was free, the big truck started across the river. A local on the truck urged us to jump aboard (about a 3 foot climb) to stay dry and cross the river. All went well forging the river, until we realized the truck was not going to stop once on the other side. We quickly realized that we were going to have to jump from a moving truck or risk riding on the back to who-knows-where. We’re sure it didn’t look graceful, but we managed to get back to the road before being whisked away. Our cab raced through the river like one of those rally cars and we continued our journey. The rest of the trip was relativity easy and we made it back to La Paz a little muddy, but in one piece. We had a good time being the only Gringos in Quime and spending Christmas there. We missed our family and friends during this special time of the year, but we sure enjoyed all the relaxing. Off to the Bolivian Amazon. 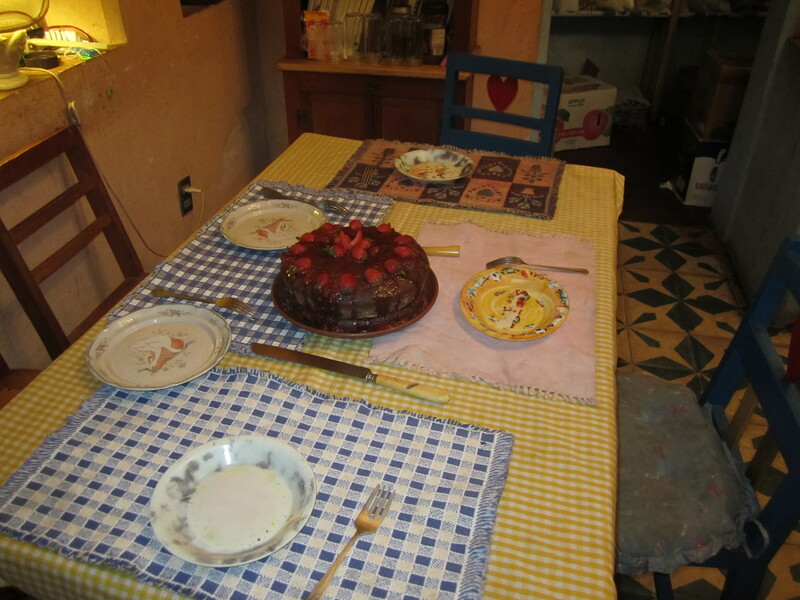 This entry was posted in Bolivia and tagged christmas, monopolio, quime. Bookmark the permalink. Qué hermosos paisajes, claro es mi pueblo, donde nací, Que lindo, Dios les bendiga!!! I am laughing out loud right now thinking about you guys jumping off a moving truck! I can only imagine what Kristen looked like doing this and the words that were coming out of her mouth. Love you guys! And I’d love to play some Monopolio! Kris, tell me… did you roll your ankle jumping off the truck? And I’d also like to ask why we didn’t do anything like that when I was there? You jerks saved all the good stuff for yourselves. My favorite part about where the stuck cab sat was the hill on the other side. That raises the stakes a little. So happy to read that you had a nice Christmas. We sure missed you, but loved knowing that you two were together having fun. Loved seeing your “Christmas Tree”. Teresa gave us our Christmas presents from you a couple of days ago. I don’t need to tell you that my scarf was PERFECT. I am not surprised that you knew that red and black are my favorite colors. The weather here is so cold at night, and tomorrow night I am going to a meeting and I will use it. Looking forward to your pictures of the Amazon. Please don’t jump off of any more trucks. Hi, this is Marco here. The road is paved all the way now. They fixed the bridge The hostel is still pretty empty most of the time. A lot of the guests that do get hereare mostly long term travellors (year tickets, sabbaticals and so on). They are staying longer times. so I set up a small discount for a week or a month. Glad you had a good time.